DNA Testing – Am I Jewish? Is it really possible to unlock secrets from the past with a simple swab test? Y-DNA is passed from father to son. It does not pass through the mother at all. By checking the Y-DNA you can check your paternal DNA and see which group it falls in. Some people have asked if they can take a DNA test to determine if they are Jewish. There is no test that says one person is Jewish and another is not. There are tests that check for certain markers that point to possible links to Judaism. The most common test is to see if a male carries the marker carried by a large amount of Kohanim (priests, also written as Cohanim). This test checks the Y chromosomes which are passed from father to son and can point to the possibility that a male ancestor was descended from Aaron, the first High Priest and brother of Moses. This test does not determine religion because religion is passed from mother to child, not from father to child. But, if the mother is Jewish and you carry the marker then it points to the fact that you are likely a Kohen (priest) although somewhere along the way the transmission may have been interrupted despite that one carries the marker. Testing of all kinds can be done by a few companies. I had my DNA checked with one of the largest and most professional companies doing DNA tests and have since been in touch with relatives that I did not know existed. Together we have been exploring our family roots. The tests are very simple, a swab kit is sent by mail and the user swabs the inside of their mouth with what looks like a large cotton swabs and returns the kit in an envelope. The test takes just a few minutes and the doors it opens are amazing. You can actually learn about your family ancestry through your DNA. The results are sent in about 4-6 weeks. Another valuable resource for exploring the different DNA tests available is DNA Test Review. 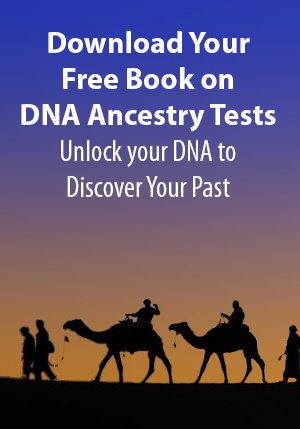 The website lists hundreds of different DNA tests that enable readers to choose the test that best suits their research. whether is to to find Jewish, Native America or European roots, DNATestReview.com has lots to choose from. If you decide to do a DNA test, check out further resources for matching your DNA with long lost “cousins” around the world.